Firm: Doane & Doane, P.A. Randell C. Doane is recognized as a specialist in tax law and is board certified in the law of wills, trusts and estates by the Florida Bar Board of Legal Specialization. Mr.Doane is an honored member of Martindale-Hubbell’s Registry of Preeminent Attorneys in tax law and estate planning. His law firm, Doane and Doane, PA, holds the high estrating ("AV") from Martindale Hubbell which is the premier attorney rating service. Mr.Doane is frequently called as an expert consultant for estate and financial planning issues. His legal experience emanates from practice in both local and national law firms. Randell Doane has practiced law in the areas of estate planning, probate and taxation since 1975. Mr. Doane received his undergraduate and law degrees from Michigan State University and holds a post-doctorate degree in tax law from the University of Miami School of Law. In addition to his law degrees, he is a member of the Florida Institute of Certified Public Accountants.Randell Doane frequently lectures nationally on tax and estate planning topics.He is a recognized author in the areas of estate and business planning and is a much sought after educator in the areas of estate planning for attorneys. Mr. Doane also instructs in the areas of accounting and financial planning for professional organizations throughout the country. Mr. Doane has authored a number of articles and other materials on various subjects regarding estate and tax planning matters. He is the coauthor of Death & Taxes – The Complete Guide to Family Inheritance Planning,published by Ohio University Press, and utilized by many as a comprehensive guide for the creation of a personal estate plan.Mr. Doane is a member of the East Coast Estate Planning Council, The Palm Beach County Estate Planning Council, the Palm Beach Tax Institute and the Florida Bar Association. He is a past president of both the Florida Institute of Certified Public Accountants -- the Palm Beach County chapter and the American Society of Life Underwriters -- the local chapter. He is a former member of the American Bar Association's Real Estate Tax Problems Committee. 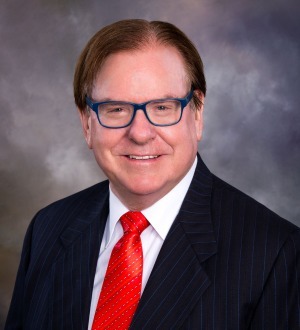 Randell Doane is admitted to practice before various state and federal courts, including the U.S. Tax Court.Randell Doane is an active member of his community, contributing time and effort to many civic organizations. Mr. Doane is an avid supporter of both the Boy Scouts of America and the Girl Scouts of America. He is passionate in both interest and support of organizations which deal with children in crisis.Randell Doane shares his active legal practice with his wife, attorney Rebecca Doane, who is also the co-author of Death & Taxes – The Complete Guide to Family Inheritance Planning. Mr. Doane resides in North Palm Beach, Florida, with Rebecca and their children, Elizabeth, Bryan, and Randell.